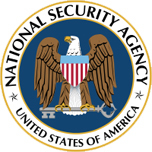 National Security Agency is an intelligence agency under the U.S. Department of Defense, with the focus on monitoring of information and data. On the day of the terror attack, September 11th 2001, there were several so-called war games, military exercises, of various kinds. The National Commission on Terrorist Attacks Upon the United States, better known as the “9/11 Commission”, was given the task by the U.S. Congress to establish the chain of events. The Commission investigated, among other things, if the ability of the military to counter the terror attack while being carried out, had been made more difficult by the military exercises. The Commission found that the opposite was most likely the case: The increased readiness helped the military effort. Following this, the NSA has released a description of the intelligence agency’s participation in the exercises.